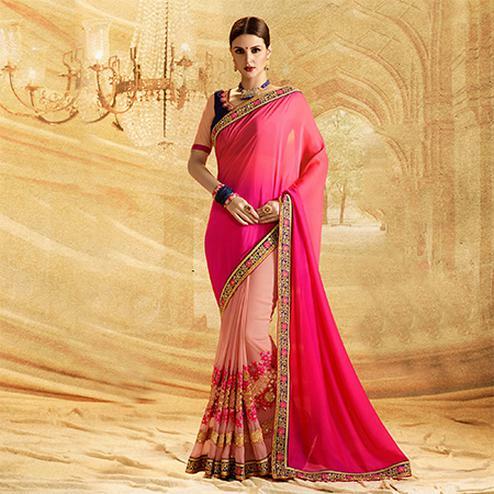 Be the center of attraction wherever you go with this orange - beige half & half saree. 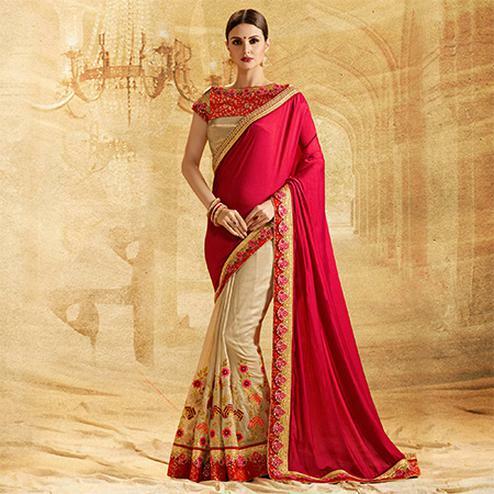 This designer saree is showing some beautiful work done with resham embroidery & patch border which would make you stand out from the rest at any function. 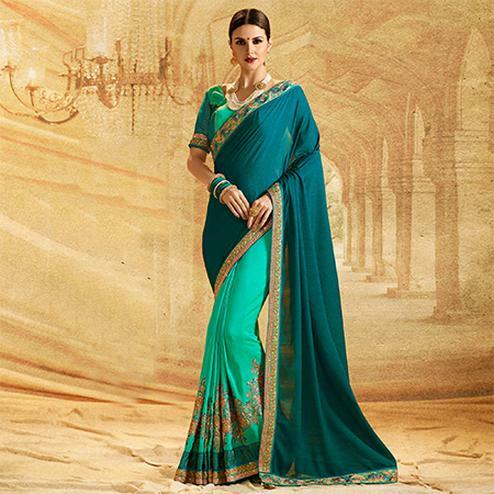 Crafted from georgette fabric this saree is high on comfort. Accompanied with red banglori silk blouse. 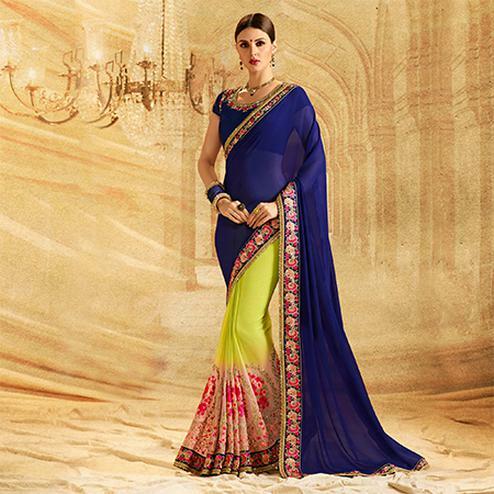 Perfect for parties functions & special occasion.